Say hello to my NEW little friend! I swear I have the best friends in the world. My friends, Edson and Desi contacted me the other day about a vintage purse they saw at a vintage shop that reminded them of me. I nearly died when they showed me the pics, they know me SO WELL! I am so particular about my bags but Edson and Desi hit it right on the head with this one! 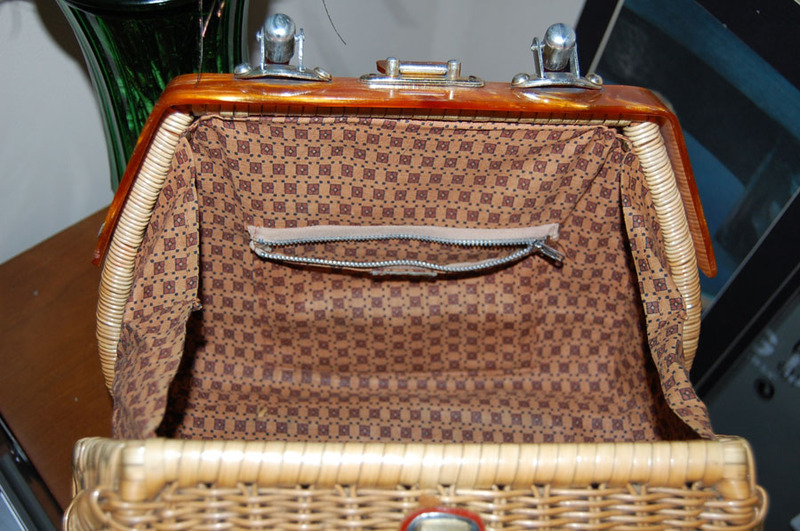 I love that it is wicker with a leucite handle. I told them I loved it and they are soooo amazing, they sent it to me! It’s awesome that I can shop vicariously through them, they always find the best thrift stores. I love them so much for thinking of me. Cheers to great friends and my great new purse! 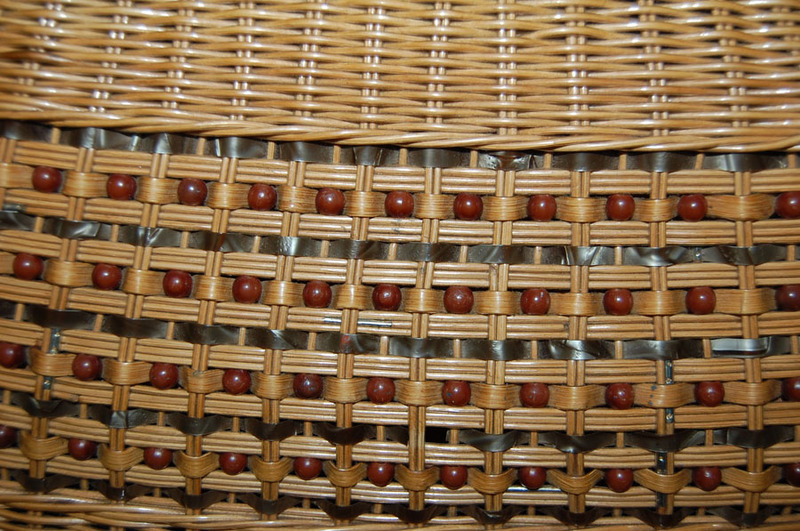 I love the wicker weave, so pretty! The Interior is in perfect condition! Ahhh. 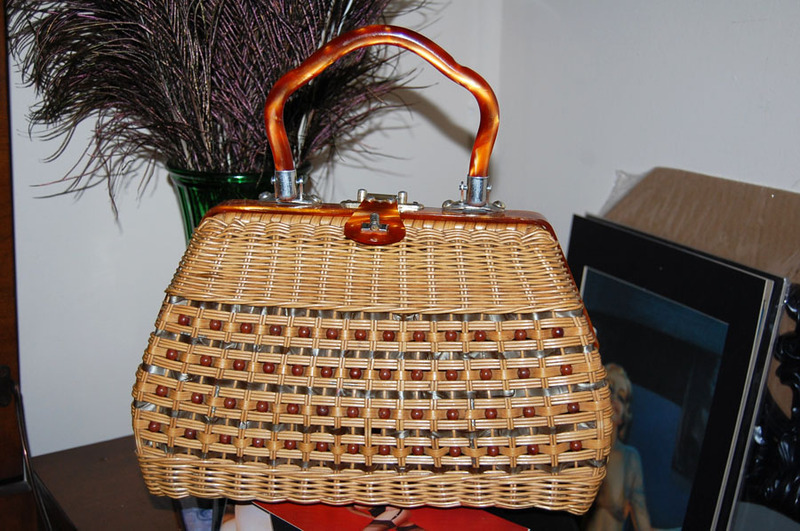 I have several purses like this (wicker w/ Lucite handles). My other faves are the carpet material purses with kisslocks. Also, Kelly green patent leather doctor bags are ALWAYS on my list. I’m glad your friends treat you so well! ahhhhh It’s PERFECT! I’m amazed by the condition of it. I feel like that’s pretty rare. Its hard finding a bag vintage bag in such great shape- lucky girl!